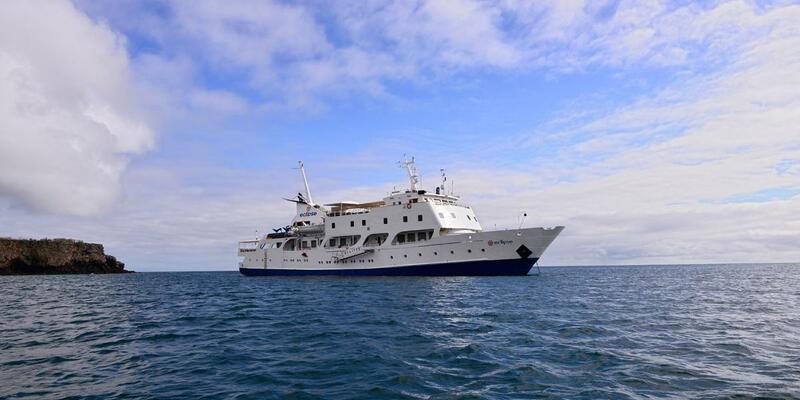 Land Based Galapagos Tours, or a Traditional Cruise? Should you spend all of your time on a boat, or go island-hopping with land-based Galapagos tours? The Galapagos Islands, off the coast of mainland Ecuador are high on the wish-list of birdwatchers, scuba divers, and naturalists alike. The archipelago is made up of 18 main islands, 3 smaller islands, and a collections of rocky outcrops, straddling the equator in the middle of the Pacific Ocean. Most people visit for the wildlife, but the stunning scenery is also part of the draw. But which is the best way to explore? Should you go for a cruise or investigate the alternative island-hopping, land based Galapagos tours? 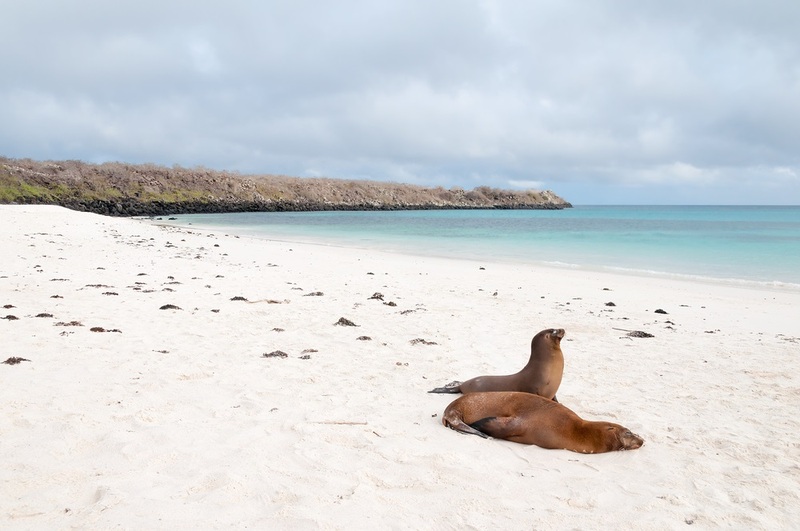 Why Choose a Galapagos Cruise? 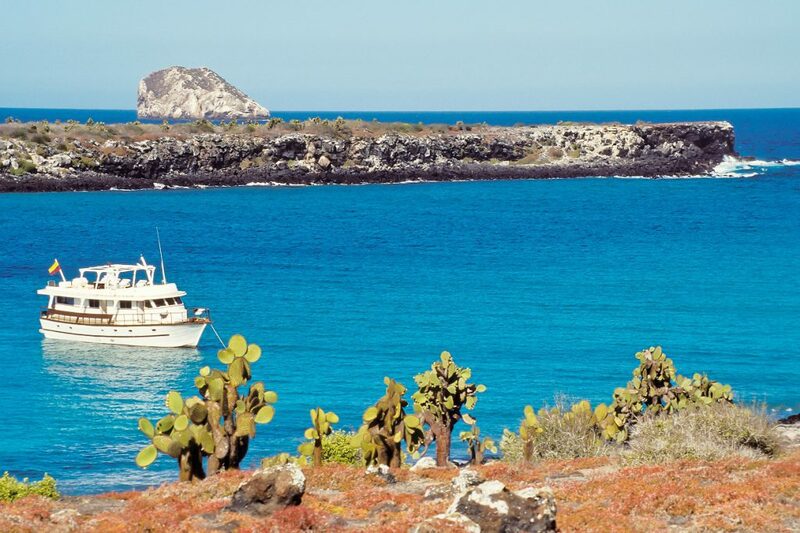 A cruise on a yacht or sailboat is the traditional way to explore the Galapagos. In fact, many people think it’s the only way! There are a range of cruises for every budget, yachts and catamarans of all sizes, and itineraries that range from a couple of nights to well over a week in length. The main benefit of a cruise over a land based tour is that you’ll spend more time on the islands, because the boat will travel at night, so you’ll wake up in a new place every day. Even when you’re on-board you can still enjoy your surroundings, and there are often extra activities such as snorkelling or bird-watching talks for you to do in your free time. All of your meals are included, so you can really relax and let someone else take charge. Opting for a cruise gives you the opportunity to visit some of the more remote islands which are too far away to see on a day trip, as well as seeing some wilder spots which are better for naturalists. Most cruises have a number of different itineraries, so you don’t have to pick the boat based on the itinerary. There are cruises centred around diving, for both beginners and those with experience. The smaller sailboat-style yachts are the cheapest option, but the cabins have bunk beds rather than full size twins or doubles, and these boats tend to rock around quite a bit. 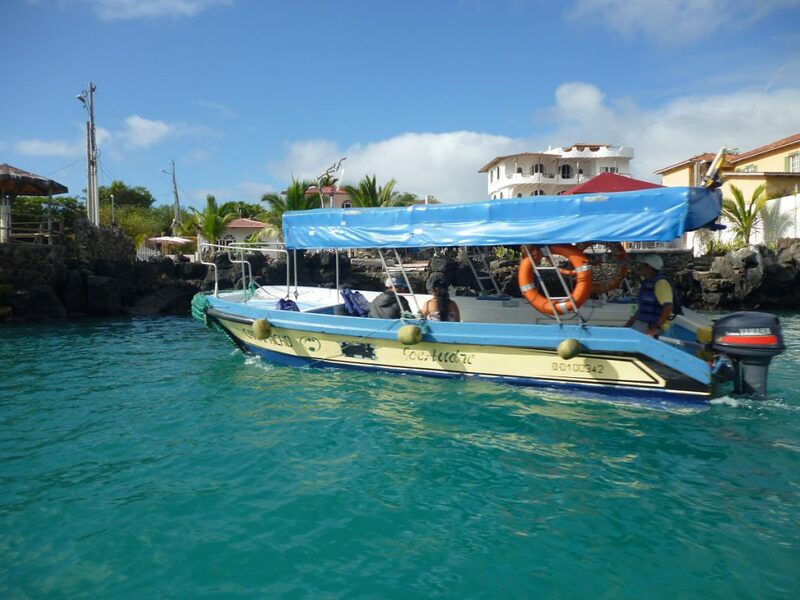 Plus, most of the tourist sail-boats also have a motor, as the weather changes quite sporadically in the Galapagos, so you may not even see the sails being used during your cruise. The next step up from the sailboats are the tourist class cruises, which are slightly bigger with better cabins, and somewhere more comfortable to sit on the deck. Although the facilities are somewhat lacking for longer itineraries, but these yachts are fine for those on a tighter budget or for shorter trips. Moving up to the first class catamarans, these are much bigger with good private cabins, and both indoor and outdoor relaxation areas. Most have a sun deck with loungers, and a lovely dining room for guests to relax in. Plus, the catamarans’ size means they rock far less than the smaller yachts. 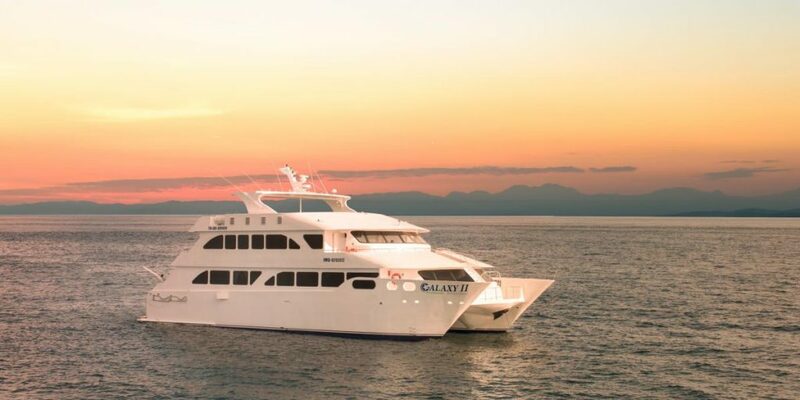 The luxury class ‘mega’ catamarans are bigger still, and have spacious cabins with balconies, more social areas, and some even have jacuzzis on the deck. There are likely to be more attendants to guests and a higher level of service as well. What about Sea Sickness in the Galapagos? Many people are put off the idea of a cruise because they are worried about sea sickness, but in actual fact a cruise might be a better option for those who can’t stomach a rough sea. This is because the yacht will mainly travel at night, so you’ll be asleep, which means you’re less likely to notice choppier waters. Plus, the larger catamarans will rock considerably less than the smaller touring boats. Sleeping on dry land might seem like a nicer option for those who suffer from sea sickness, but bear in mind that the speedboats you’ll be taking to the islands are often very small and will move around far more than the larger yachts. Some of the islands are over 2 hours by boat, and if the seas are rough you’re less likely to enjoy your tours. 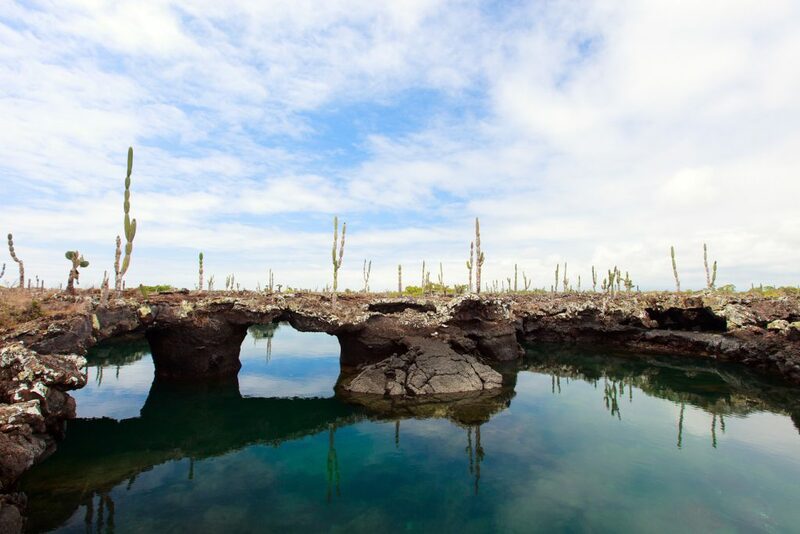 Why Choose Land Based Galapagos Tours? There are a range of hotels to choose from if you’d prefer a land based tour, and you can split your time between a number of islands. Land based Galapagos tours are generally cheaper than cruises, which is the deciding factor for many people. This is the most flexible way to visit the Galapagos. You have the option to explore inland, such as the highlands of Santa Cruz, where most cruises don’t visit. Island-hopping is much more independent, so you’ll have free time when you’re not doing tours to explore on your own and meet the locals. You will be sleeping on dry land, in a spacious hotel room rather than a cramped cabin. Some hotels have set itineraries, which usually range from a couple of days to a week in length, so you’ll know exactly which islands you’ll be visiting before you arrive. Many of these set itineraries also allow you to stay on two islands, such as Red Mangrove‘s Darwin’s Footprints island-hopping tour. Other hotels allow you to pick and choose your own tours, which is the most flexible option in the Galapagos. But be aware that the National Park is strictly controlled and there are sometimes restrictions in place which may prevent your tour from going ahead with its original itinerary. This is a problem that hotels are used to dealing with, and alternative islands will be suggested if this is the case. The Verdict: Galapagos Cruise or Land Based Tour? For independent, cost-conscious travellers, land based tours or island-hopping is the best option, as this gives you ultimate flexibility and control of your trip. For those with a bigger budget or very keen naturalists, a cruise is the best way to see more of the islands, and visit remote spots which are better for wildlife. 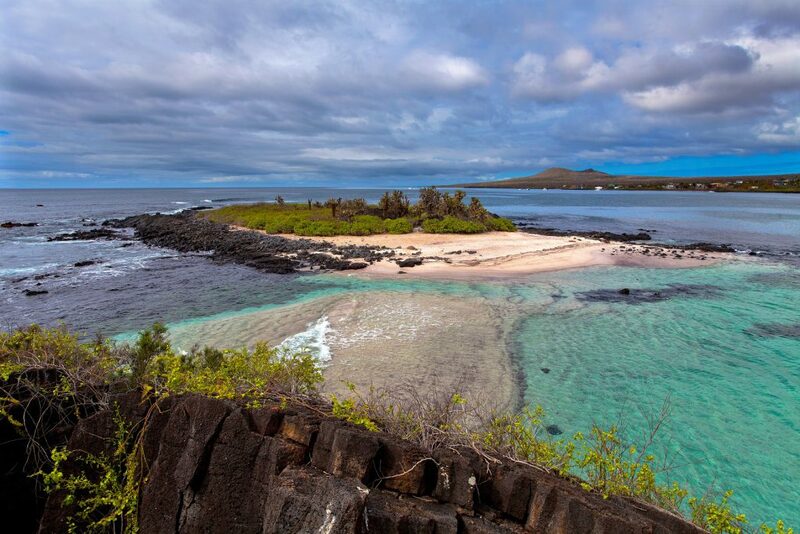 If you have a week or more to spend in the Galapagos it might be worth considering a mixture of the two. Spending your first few days on a cruise to give you an overview of the islands, followed by some land based exploring on your own afterwards.